Woodlawn is delighted to be named Grand Marshal of this year’s Downtown Ellsworth Christmas Parade on Saturday, December 2. 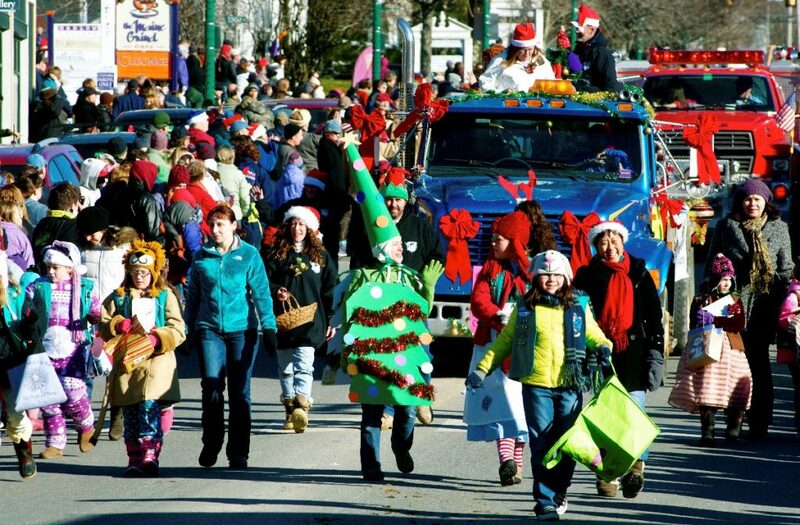 The parade steps out at 11 a.m. from the Maine Community Foundation parking lot on upper Main Street. The 2017 parade marks the 37th year of this much-loved community event. The streets along the parade route will be filled with children and adults of all ages and the shops in downtown Ellsworth will have the welcome mats out for holiday shoppers. As Grand Marshal, Woodlawn staff will lead the parade down Main Street. They will be joined by third grade teachers Torie Le Breton and Lisa Backman, along with a number of students from Ellsworth Elementary Middle School. According to Woodlawn’s executive director Joshua Torrance, “The Woodlawn School Program is such an integral part of our service to the community that it seems fitting to have teachers and students join us in this festive celebration.” The students walking with Woodlawn will represent the 1,600 students who participated in the Woodlawn School Program in 2017. Le Breton and Backman are 2017 graduates of the Woodlawn Teachers Institute, a biennial program that brings teachers together to work as a team to develop curriculum-based programs utilizing Woodlawn’s history, environs, and collections.